Farmers on land lost more than $1 billion worth of crops in the floodwaters from the hurricane. Jerry Schill of the North Carolina Fisheries Association says, in a way, commercial fishermen lost crops of their own. "The fish stocks that they normally fish for in the fall, those fish stocks are displaced," he said. When a hurricane comes through, fish move to calmer waters - and it takes a while for them to come back - or they get caught in the storm surge and end up on dry land. One of the many images that went viral after Hurricane Florence was a photo of dead fish on Interstate 40 near Wilmington. "A crop in the field, if it gets touched by floodwaters, it's not usable. Well, our crop better be touched by water, or it's not usable," Schill said. The exception to that rule is shellfish. Schill says commercial fishermen lost millions of oysters and clams because of too much exposure to fresh water from the floods. Schill was speaking to a committee in the Legislature this week, one of many considering Hurricane Florence relief measures. The full House and Senate reconvene next week, and lawmakers are trying to sort through the damage estimates before then. Those numbers help these committees come up with how much money they should ask for when the Legislature votes on a recovery package. But the commercial fishing industry doesn't have the full picture yet. "It's hard to quantify," Schill said. "The last storm that the Division of Marine Fisheries worked with us on, they have a Trip Ticket program, which is a very good program to estimate past years and take an average of that and try to come up with an estimate of what those fishermen lost as a result of this storm." Instead, Schill gave the committee an example of one fisherman in Pamlico County. 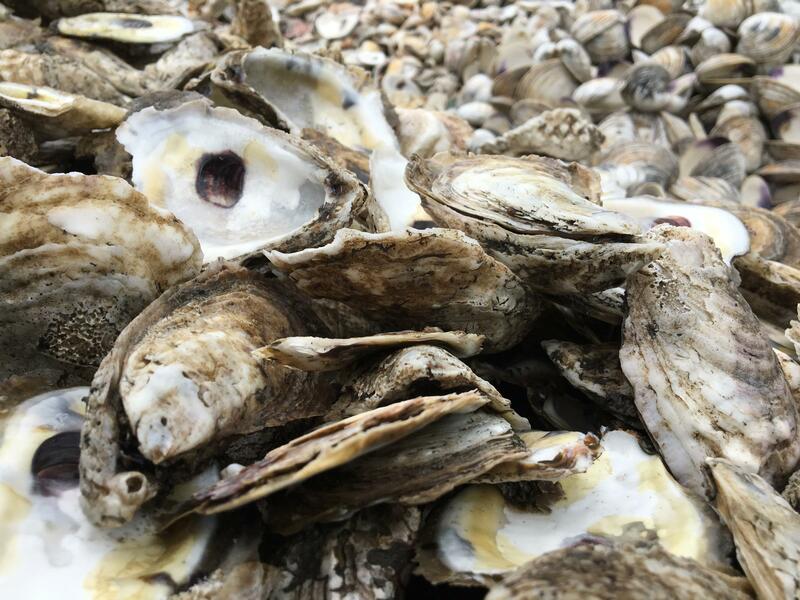 He had nearly $1 million worth of oysters in the water before the storm hit. Every one of them is presumed lost.